Some economists claim that a variety of choice is not always positive thing. Due to the uncertainty in taking the right choice, having many possibilities can make you overwhelmed. The truth is that it is really easy to feel overwhelmed, and choose a low-quality theme given a nearly infinite quantity of free WordPress themes to choose from. Thus, as always, we have been searching for the best fresh batch of themes around the Web and this list includes the top WordPress themes of December 2014. So you should be able to find the suitable one for your website, since all of them look really professional, and are nicely designed. The themes below should inspire you to create a great and unique look for your website. Just sit and enjoy. Are you looking for a multipurpose and 100% translation-ready theme? If so, PaperCuts is exactly what you need. It is a customizable, fully responsive and easy-to-use WordPress theme that will be perfectly displayed on any device. The theme offers 220 google fonts, 3 predefined color schemes, custom widget for showing the latest posts from the selected category, Theme Options Panel for easy adaptation to your needs, social network profile links, theme documentation, 2 menu areas, etc. In addition, PaperCuts comes compatible with WooCommerce and Breadcrumb NavXT plugins. 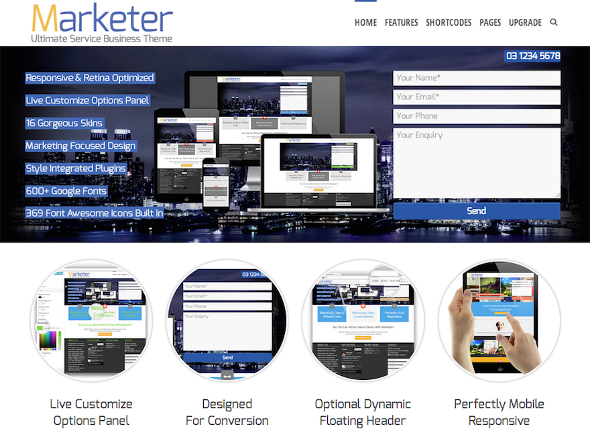 Marketer is a responsive, premium quality theme for business people. This theme will surely help you gain more clients. It comes with 16 gorgeous skins, unlimited color options, marketing focused design, boxed and wide layout options, live extensive theme customizer, 12 widget areas, background image support, 600+ integrated google fonts with live preview, breadcrumbs, shrinking floating header, retina optimizations, styled contact forms, color boxes and font awesome integration. One more thing. Marketer theme looks really nice. 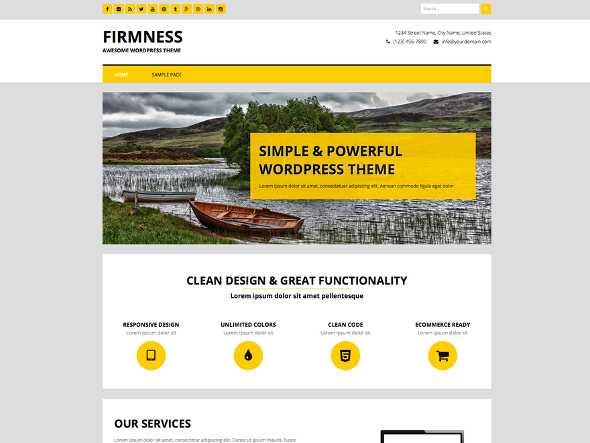 Firmness is a creative, flexible and clean WordPress theme. It provides some awesome features, such as two great image sliders, advanced admin panel, custom logo and favicon, customizable home page sections, unlimited colors for menu widgets header and footer, Google fonts, support for Contact Form 7, translation ready, social links, 4 footer widget columns, eight post formats, scroll to top feature, etc. This theme will make your website look well on all screen sizes and devices by providing an optimal viewing experience. You can easily modify colors, fonts and layouts since the theme has an advanced admin panel, packed with a bunch of different options. Firmness theme is your success. 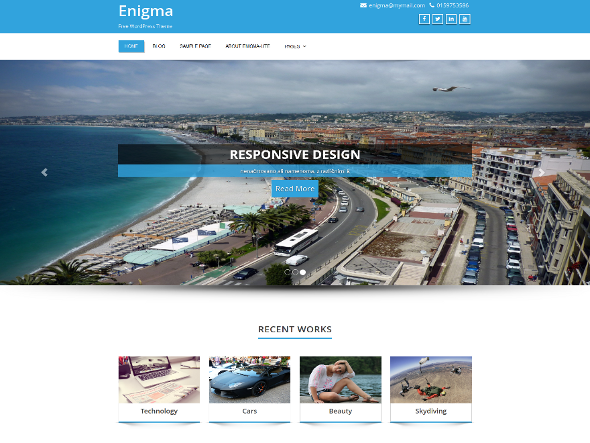 Enigma is a responsive, multipurpose and retina-ready theme designed & coded with love and care. You can use it for your portfolio, business, blogging or any type of website. It is based on BOOTSTRAP CSS framework that makes your website adapted to smartphones, tablets or any other mobile devices. Enigma works on all leading web browsers since it is a fully cross-browser compatible theme. It is using the sidebar widget and has five widgets available (four footers, one sidebar), 2 page templates and 4 page layouts. The theme comes with the ability to create a two-column design. Flickr is a custom widget in Enigma, so you can show up your Flickr images as well. The theme offers Social Media Links in footer and header areas, so you can add your Social Buttons there. Enigma is a translation-ready theme, and it also has an awesome Caroufredsel slider, great business template, dark & light color skin and simple but powerful Theme Options, which provide full CMS control to match your website & logo wide layout. 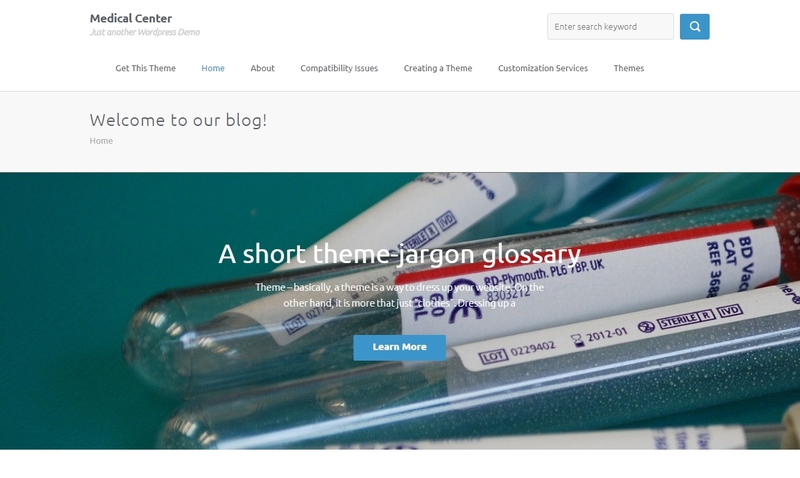 Medical Center Theme is an easy-to-use, translation-ready and professional theme with modern design. If you need a great Theme for a pharmacy website, medical forum, hospital website, etc, Medical Center will be a great solution. If you want to share your ideas, give medical advice or recommendations, Medical Center Theme will help you as well. You don`t have to spend much time for customization since this theme is really user-friendly, good-looking and simple to customize. Features include two-column design, cross-browser compatibility animated Image slider and fixed-layout, threaded comments, customizable header image and background. Some time ago, the theme`s price was an indicator of its quality. Free themes were often used to capture sensitive user data or in the best case just poorly coded. 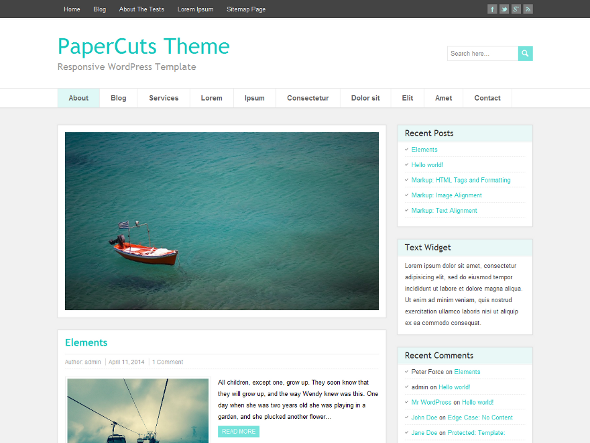 Times have changed and WordPress community has a variety of high quality free themes. That was a list of the very best five themes for your WordPress, which we recommend using on your website or blog, the latest collection of free WordPress themes of December 2014. They are all high quality and good-looking. We hope you will find the necessary one. by CatherineContent manager and marketer from BestWebSoft. I have an analytical mind and strong understanding of the industry. Enjoy travelling, comics, and cocoa.